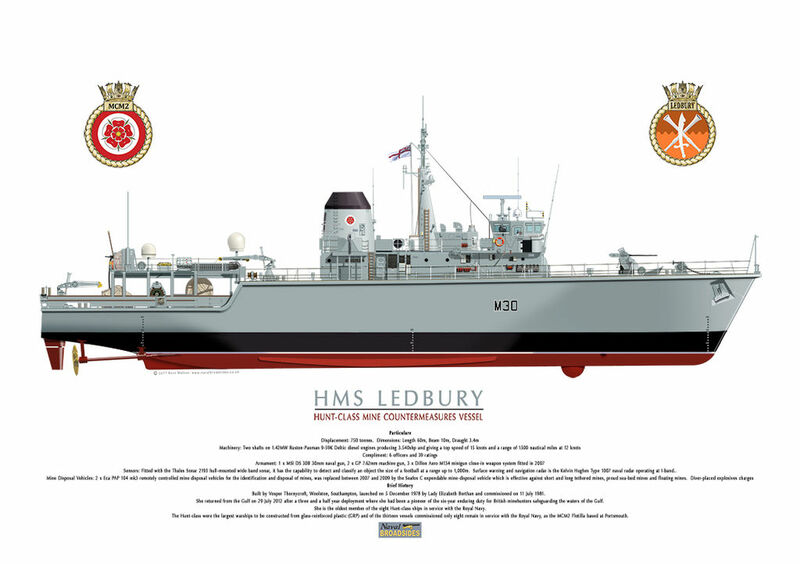 HMS Ledbury was built by Vosper Thornycroft, Woolston, Southampton, launched on 5 December 1978 by Lady Elizabeth Berthan and commissioned on 11 July 1981. She returned from the Gulf on 29 July 2012 after a three and a half year deployment where she had been a pioneer of the six-year enduring duty for British mine-hunters safeguarding the waters of the Gulf. Ledbury is the oldest member of the eight Hunt-class ships in service with the Royal Navy.